Our mobile system for genetic identification of infections has been appreciated by the jury of the first Start-Up-Med competition, organised as part of the 4th Health Challenges Congress –HCC in Katowice between 7 and 8 March. The Start-Up-Med competition was to select and reward the most creative authors of both innovative and effective projects in the area of broadly understood drug and non-drug medical technologies (including medical devices, diagnostic solutions and ICT). 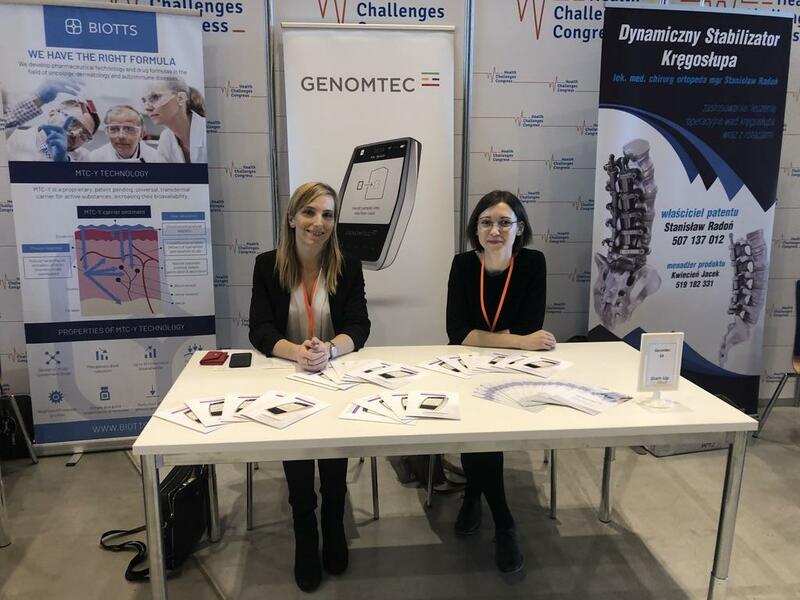 The event accompanying the 4th Congress of Health Challenges was attended by Katarzyna Koclęga, Project Manager and Izabela Pielka, who presented our technology to the competition audience.